Things are going well at free men’s quarterly magazine The Jackal. Its ABCs for the final four months of 2017 put its distribution – across 30 London Tube stations and select transport hubs – at nearly 100,000. The title was also shortlisted by luxury brand alliance the Walpole in its February Brands Of Tomorrow 2018 programme, and it is set to launch a subscription plan next month thanks to popular demand. All that, and it’s just about to celebrate its first birthday. 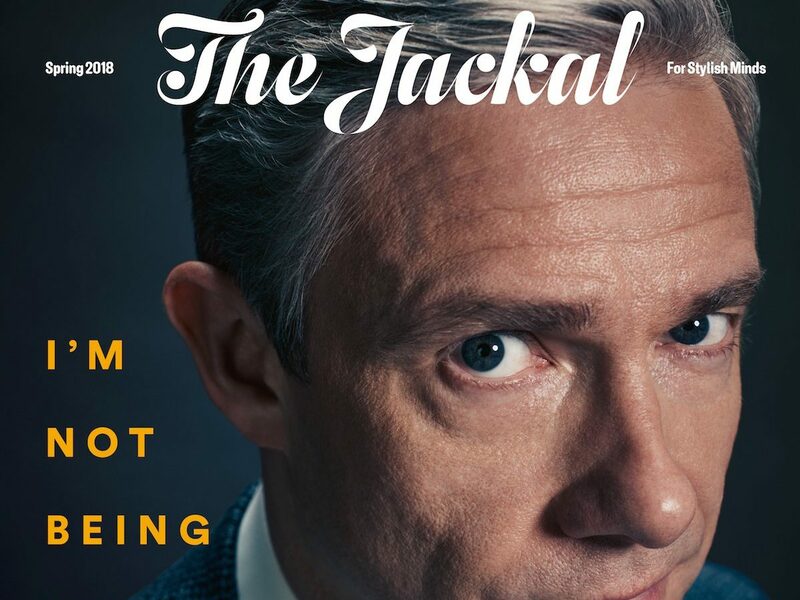 Editor and co-founder Robin Swithinbank, a former Gentleman’s Journal editor and creative agency director, said that the decision to launch the Jackal came from a realisation that affluent male commuters were underserved by the free magazine market. “If you are looking for a slightly more erudite, well informed insightful title but it’s free, then up and until 12 months ago, there wasn’t a lot for you to pick up,” he says. 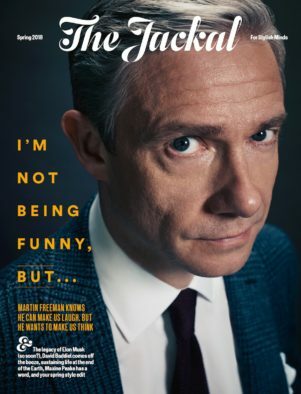 Enter the Jackal, aimed at “smart-dressing, smart-thinking, smart-living” men, a “new magazine for stylish minds” that has counted the likes of actors Martin Freeman, Luke Evans and Matt Smith as its cover stars. Swithinbank says the Jackal is aimed squarely at the premium market, but did he find that high end brands had apprehensions about being in a free title? Swithinbank says that the support from the luxury industry, including brands such as Cartier and Patek Philipe, enabled a “smooth” launch for the title last March. It also persuaded him early on that “there could be some mileage in the tank” for being a commercially-funded luxury title. In revenue terms, Swithinbanks says the Jackal is “more than washing its face”. On top of ad revenue the magazine also charges a subscription fee (five issues for £15) for those eager never to miss an issue. As well as comparing the Jackal’s concept with luxury freemium publishers like Square Up (publishers of Square Mile magazine), Swithinbank also notes that the title shares many of the same advertisers as paid-for rivals GQ and Esquire. 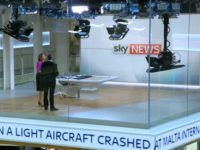 “We recognised there was a potential audience, but when you’re in the free space it’s a potential market, which in our case meant a raft of advertisers,” he says. However, high distribution figures don’t necessarily translate to success as a free title. The NME was posting ABC’s of 289,432 copies a week at the end of 2017 before it was declared “no longer financially viable” as a print product by publisher Time Inc and reduced to an online-only offering. This might explain why Swithinbank is touting the Jackal’s “360 degree offering”. He says its website hosts over 500 pieces of content and editorial decisions – which flow from the smart living, thinking and dressing mantra – are all primed for social media. “We do profiles where possible and we want those profiles not to just be interesting to our audience, but also to people who have strong social followings themselves,” says Swithinbank. This method was successfully applied to the cover star of the magazine’s second issue, model David Gandy, who has the best part of 1m followers on his social platforms. Along with the cover story, the Jackal produced an accompanying film, which, according to Swithinbank, is the most viewed piece of content Gandy has put out on his social channels. “Working with the right people becomes absolutely critical when it comes to deciding what kind of profiles we choose,” reaffirms Swithinbank. With social media such a key component of its strategy, was the Jackal hurt by the recent Facebook changes that ranked content from publishers lower than that from users on its News Feed? “In some ways I could rue the fact that we didn’t start five years ago because it would have been much easier to build our Facebook audience then instead of now,” he says . Swithinbank says the Jackal’s relative youth as a brand gave it the agility to reinvest its resources elsewhere. This was mainly on social network Instagram, where the Jackal’s account has just passed 10,000 followers, making it a key driver for referral traffic. The success of the Jackal’s first year has not come with total ease, however. “We’re a small business, and small businesses always have challenges,” says Swithinbank, noting the trials of recruitment, cashflow and marketing as some of the first year struggles the magazine has had to overcome. He says the biggest challenge ahead of the Jackal as a business is to “build an online presence that we can then leverage”, but is he confident about print? 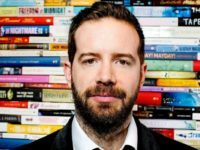 “The peculiar thing about print is that while brands are frequently found to be heard to say ‘we’ll be investing more in digital than in print’, in reality they all want to invest in print at our end of the spectrum,” he says. He mentions a print ad in an issue of the magazine from a brand that had previously dedicated its entire marketing budget to digital – a “very limiting way of marketing to their audience”. “If you’re a luxury brand and you have a product that is hand crafted to an audience there remains little better way than doing that through a beautifully produced print product,” he says.